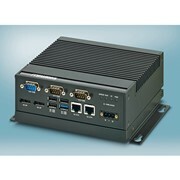 National Instruments, the market leader in PC-based data acquisition, offers the most complete family of data acquisition devices for desktop, portable, and networked applications on several buses, including PCI, PCI Express, PXI, PCMCIA, USB, CompactFlash, Ethernet, and FireWire. By integrating commercial PC-based technologies and investing in innovative research and development, NI continues to lower the cost of measurement and control while improving system performance, accuracy and reliability. 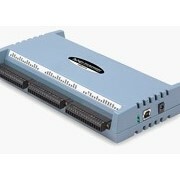 Readers can learn more about the new hardware capabilities of M Series DAQ devices in addition to the time-saving features of NI-DAQmx software at www.ni.com/daq. The new NI M Series multifunction DAQ devices offer breakthroughs in accuracy as well as faster sampling rates, more I/O channels and a broad set of expanded features previously not available in multifunction DAQ devices. 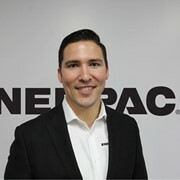 The new M Series devices not only lower the cost per I/O channel by more than 30 percent, but they also reduce overall system costs by minimizing setup time through advanced development tools included in NI-DAQmx measurement services driver software. These 20 devices address low-cost, high-performance and high-accuracy applications. 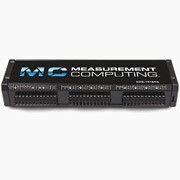 M Series multifunction DAQ devices deliver an extensive set of features that makes them ideal for test, control and sensor measurement applications. The core of each M Series device is the new NI-STC 2 synchronization and timing controller, which allows up to six operations to execute simultaneously at throughput rates up to five times faster than previous DAQ devices. M Series also offers a revolutionary design for calibration at every input range, improving measurement accuracy by up to five times in addition to extending the recommended calibration interval on most M Series devices to two years. The redesigned NI-PGIA 2 family of programmable gain instrumentation amplifiers dramatically reduces settling time to ensure accurate measurements even at the fastest scanning rates. In addition, M Series DAQ devices offer up to 32 18-bit analog input channels, four 16-bit analog outputs, two 32-bit counter/timers and 48 digital I/O lines. 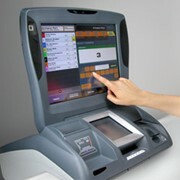 Engineers can use the new devices to hardware-time up to 32 of the digital lines up to 10 MHz. 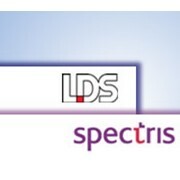 Each M Series device includes the latest version of NI-DAQmx measurement services driver software, which delivers easy configuration and a flexible programming interface for NI LabVIEW, Visual Studio .NET and NI LabWindows/CVI. CVI, LabVIEW, National Instruments, NI, ni.com and NI-DAQ are trademarks of National Instruments. 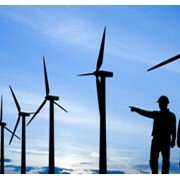 Other product and company names listed are trademarks or trade names of their respective companies. Use the IndustrySearch e-mail feature below and one of the National Instruments team will respond to your enquiry directly.